Seeds and seedlings are one of the most important materials for agricultual production. In order to ensure sustainable development of agriculture,it is important to promote production and distribution of quality seeds and seedlings. The Center for Seeds and Seedlings, NARO (NCSS) aims to operate variety registration system and inspection system of seeds and seedlings based on the Plant Variety Protection and Seed Act, and produces foundation seeds and seedlings of potato and sugarcane. 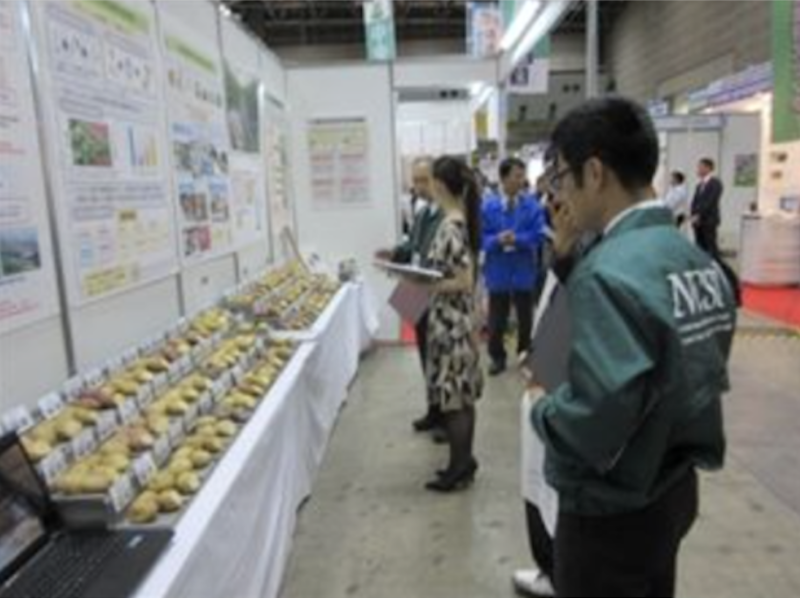 NCSS at the "Agribusiness Creation Fair 2015"
The NCSS participated in the "Agribusiness Creation Fair 2015" organised by the Ministry of Agriculture, Forestry and Fisherie at the Tokyo Big Sight on November 18-20, 2015. NCSS presented an exhibit on its collection of about 80 varieties of potato produced and distributed by the center, and other plant genetic resources. 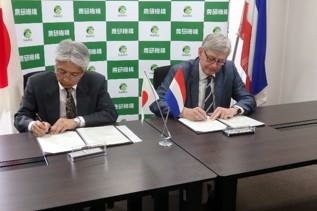 An overview of various initiatives and variety protection system to promote the management of seeds and seedlings in Japan was also presented in the exhibit. 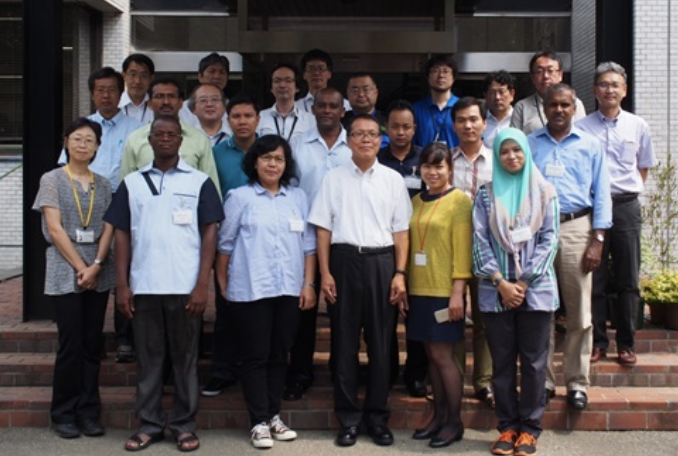 The JICA training course, "Quality Control System of Seeds and Seedlings to Facilitate Distribution of High Quality Seeds", was conducted at the JICA Tsukuba Center and NCSS from June 15 to September 11, 2015. This year, there were ten participants from nine countries including Burkina Faso, Cambodia, Ethiopia, Indonesia, Laos, Malaysia, Myanmar, Sri Lanka and Vietnam. Read more in Topics.